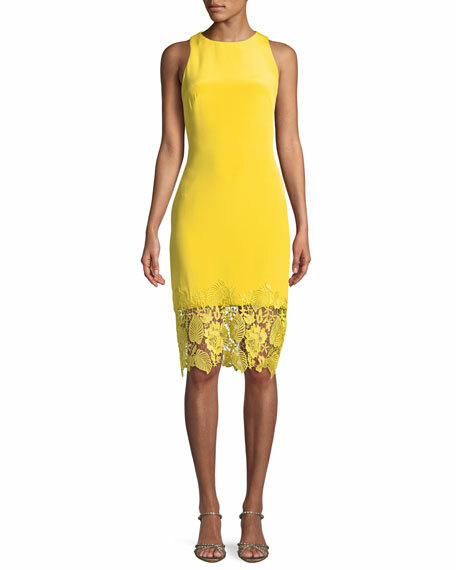 Theia sheath dress with lace hem. Approx. 43" down center back. Using the Greek goddess Theia as a source of inspiration, the Theia collection combines sophisticated and elegant evening wear designs with luminous embellishments and beadwork. Theia is fabricated with the finest European brocades, silks and prints and embellished with couture beading and embroideries. For in-store inquiries, use sku #2540599.